Talk about killer looks! 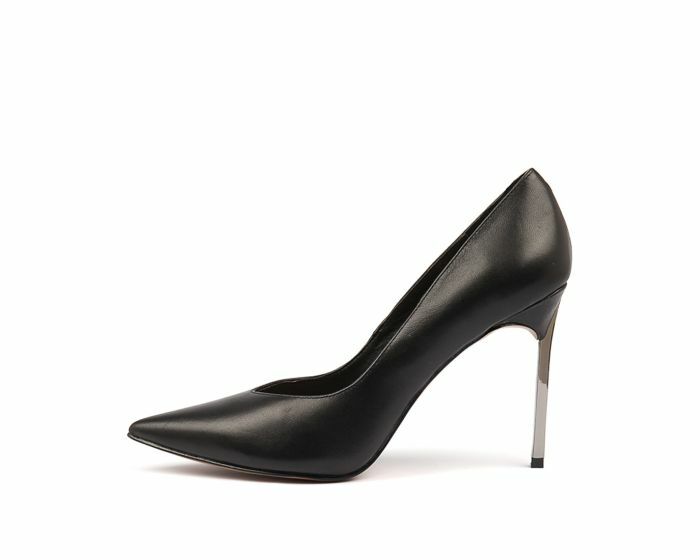 This stiletto-heeled pump is guaranteed to add some sass to your step with its sleek silhouette and vampy metallic heel. The perfect way to add some va-va-voom to your evening looks, pair this shoe with a figure-hugging dress for that big night out.